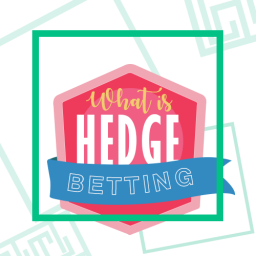 Home Betting What is the Best Arbing Software? If you have never before used arbing software you might wonder what it is. The fact is that it could turn out to be the key to making money with no-risk bets. This might sound too good to be true. Yet, many people have already taken advantage of the betting loophole that makes this possible. In this article, we’ll be going through the best arbing software. 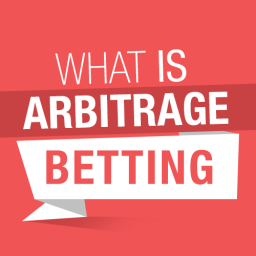 Arbing comes from the term “arbitrage bet”. This means that you place a wager on all possible outcomes. This is done in such a way that you can’t possibly lose no matter what the outcome is. You can read the basics about how arbs work here. There are a number of ways of giving yourself this unfair advantage over the bookies. For instance, you could spend endless sleepless night trying to crunch the numbers. Will you find the bets that guarantee you a win eventually in this way? However, a far more convenient approach is to find arbing software to use instead. Thankfully, you are spoiled for choice in this respect. Therefore, you just need to find the best arbing software to make your dreams comes true. Disclaimer – I own Each Way Sniper & the arbitrage software. Have you just recently discovered that arbing exists? There is no reason to rack your brains trying to work out which bets stack up. Help is at hand when you opt for an automated solution like this. 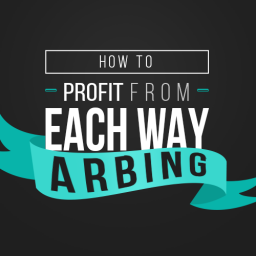 If you have never heard of arbing software before then you might want a beginner’s product. This will let you get going easily and with total confidence. You will soon understand everything that you need to know about betting with no risks. You can expect this type of software to be incredibly simple to use. After all, it is designed for people who know little or nothing about arbing. Even someone who has never betted before can use it without any worries. Each Way Sniper has proved to be massively popular with people from all types of background. It gives you a gentle introduction to this sort of bet. You can then start making money right away with no risk. 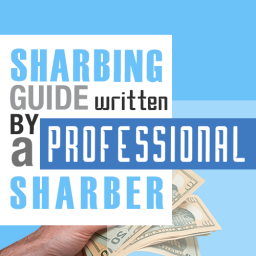 Unique Selling Point: Step by step guide and training videos. £1 trial gives 14 days of access. Covers all horses and all races. Little Bit about the Service: The Each Way Sniper site sets out in the clearest possible terms what it is all about. Even if you don’t know one end of a horse from the other, this is the arbing software to use. It covers all horses and all races to give you a comprehensive service. To get started, you can go through the instruction videos and guide. These make is very easy to understand the concept. You will be amazed once you discover how much sense it all makes. The concept behind it is so clever that you will wonder why you never heard of it before. Each bet that you make comes with a win for you. As for the software itself, it is fully automated to make life easy. You don’t need to go hunting for bets or bookie’s deals. Instead, you just sit back and let Each Way Sniper do the hard work. You just need to look through the list of available arbs and choose the ones that best suit you. It is incredibly satisfying to use and simple too. You can make as many or as few bets as you want to each day. Another good point is that the information is real time updated. In this way, you can be sure that you are always getting access to the latest bets. Don’t forget that these offers can sometimes be available for a very limited amount of time. This system also has all of the information and links that you could need. Therefore, there is no need to jump back and forward between windows. You can find out all about the horses and the race in just one place. All of this makes it ideal for making your first safe, guaranteed bets. If you still have any doubts about how this works then Each Way Sniper will quickly remove them. Even your very first bet is guaranteed to turn you a profit. The trial offer on this arbing software is also extremely well thought out for newcomers. With 14 days of service for £1, anyone can give it a try. You can then work out whether you invest in the annual contract. It should be an easy decision to make. The reported profits for existing users means that you can expect to get some juicy wins. It is the kind of betting system that you should win a very decent amount every time that you use it. There is no luck involved, just good maths. Choosing this as your introduction to arbing is a sensible move. There is no need to do any other research or buy other products. Just start using the software and you will soon see the full power of arbing at its best. This is the sort of betting solution that could work for anyone. 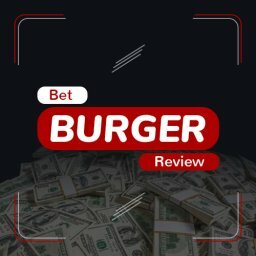 Give it a try and you will say goodbye to losing bets and hours of research. This is another solid choice for beginners to arbing. With the Matched Betting Software you get access to all sports too. This means that you can place no-risk bets on horses, football matches and more. In this way, it will appeal to newcomers who want to place a wide variety of bets. Whether you want to beat the bookies at snooker, golf or something else, this is perfect. Life can be more interesting when you can so easily win at any sport. As you would expect, getting started is simple to do. The site is packed with information and tips to get you going. Equally, the software itself is cleverly designed so that anyone can pick it up in little time. The information is clearly presented and with just the right level of detail. It has also been packed with a range of time-saving measures so that betting is fast and simple. For instance, the custom search filter is a lovely touch. This is a powerful search function that lets you home in on the ideal bet quickly and precisely. Unique Selling Point: One click of a button to calculate odds. Custom search filter. One screen contains all of the important information. Little Bit about the Service: With Matched Betting Software the path towards betting success is made easy. You get taught everything that you need to know before getting started. If you are unsure about starting then you can even get a 30 day trial for just £1. Once you get started any fears that you might have had about arbing will quickly evaporate. The layout is so simple and effective that you will feel comfortable in no time at all. Laying your first bet is easy and risk-free. Everything that you need is all on one screen. Here, you can see the name of the bookie, the odds, the lay odds and more. Then, with just one click you can place your bet. It’s as easy as that. Naturally, the biggest advantage for complete newcomers is the chance to dive straight in. Instead of spending hours looking of bets and working out numbers you just get started. All of the facts and figures are worked out for you effortlessly on screen. This makes it ideal for someone who wants to win money but that doesn’t have lots of free time for it. Getting the best deals is something that can be done in very little time. The powerful software has been designed to make life simple. Because of this, you can start winning money right away. It is also good to see that it has been designed for people who don’t have a huge amount of time to dedicate to gambling. You can easily fit this money-making approach into any sort of lifestyle. Another advantage is that the Matched Betting Software can be used on a mobile basis. This is great news for anyone who wants to place bets in a way that suits them. For instance, you could take a look at offers after work or early in the morning if you prefer. The appeal of Matched Betting Software isn’t limited to use solely by newcomers, though. The power and appeal of this software makes it ideal for anyone. If you want to take control of your income then this is a sure-fire way to do so. There is no risk involved in doing this and the rewards are very tempting. The trial offer also means that you get a full month of betting for just £1. You will also find that there are also types of arbitrage software aimed at more experienced gamblers. This is usually slightly more complicated to use than the options that we have looked at so far. You can expect to pay a subscription fee for these services. This can work out as quite a high charge. Having said that, they do offer the chance of getting in a lot of big wins, making this a good investment. Therefore, this type of option could suit someone who is happy betting regularly. They may also get more out of if they are planning on betting fairly large amounts on these safe bets. You may not feel comfortable using this software from day one. However, anyone who is used to arbing bets may want to take a look at the following. This is a well-established service that arose out of BetBrain. It is a Surebet finder that works with over a hundred bookies. In this way, it lets you pick from thousands of different arbs every day. It will also scour the market looking for the best possible odds. Unique Selling Point: Odd comparison service. Little Bit about the Service: With this software you get to compare odds from across the market. The impressive tools includes an odds history graph that can be filtered. In truth, this site is probably best suited to someone who wants to monitor the best odds. BetOn Value may seem a touch overly involved and complicated for someone simply looking for their first ever risk-free bet. Gold members get instant notification of new opportunities while silver members have to accept a 3 minute delay. There is also a free option with a 20 minute delay and fewer bookmakers. With the option of live arbs and prematch arbs, BetBurger offers a huge number of bets. The site has been popular for a few years. Their latest figures show that they have over 35,000 users and are still growing. Unique Selling Point: Browser based arbs software. Live arbs option. Little Bit about the Service: With the live arbs option, the fast updates are exciting. However, this may make it too confusing for newcomers to get to grips with. There are a couple of dozen sports covered here and over 100 bookies. The software is accessed in your browser. It can also be used on phones and tablets, as well as PCs and Mac computers. Extensive training material can help first-timers to get up and running. However, it is probably best suited to more experienced punters anyway. The Arbs Helper add-in from Chrome is handy in re-directing you to the bookie’s site with no hassle. This site promises to help you turn gambling into investing. It does this by giving you access to a nice range of arbs on easy to use software. The software is football focussed, with 64 bookmakers, 162 leagues and thousands of arbing opportunities. Unique Selling Point: Football focused. Little Bit about the Service: OddStorm is a fast and efficient arbing option. It works in your browser or mobile device. There is also a downloadable option too. You can bet in a number of different ways with this software. For instance, they offer Surebets as well as Middles and Polish Middles. The option of in-play betting is another welcome touch. While it only looks at football matches at the moment, the variety of games covered makes it versatile and interesting. This RebelBetting software is widely regarded as being one of the best choices for expert punters. With reported average profits of up to 15%, it is a sound option. Certainly, plenty of people have already benefitted from it. Unique Selling Point: Regularly updated software. Little Bit about the Service: This is a fast and reliable arbs service. Importantly, you can use it just about anywhere and on any type of device. A lot of work has gone into both the arbs software and their training material. New features are added regularly to make it work even better. RebelBetting is widely used and offers different types of subscription packages. There site reports that over 100,000 people have tried this software to date. This site is one of the newer entries to the market. The selection of bookmakers is slightly smaller than on some competitor services. However, the on-site information does claim that you can win $1,561 every month with no risks. Little Bit about the Service: This software is easy to understand and can be accessed on your browser. So there is no need for any downloading. The cost is reasonable compared to some of the rivals and represents decent value for money. There is also a good community feel to the site and Facebook page. Overall, it is a powerful arbing service that should lead you to some fine wins. Of course, some people may prefer to get stated with a free arbitrage service. This type of software will be more limited than a paid-for service. Yet, it could be a way for you to get started before paying for a more comprehensive service. There are a couple of free sites about you might like to check out. The BMBets software gives you simple and easy to understand arbs. You just open the site in your browser and filter by date, by profit or by outcome. This will result in you seeing a list of arbing opportunities right away. Little Bit About the Service: As you can imagine, the site is a little less sophisticated than those that offer paid services. This means that you will probably need to do a bit more work before placing each bet. However, it is a decent starting point for free arbing. There is a reasonable selection of bets covering a variety of popular sports. Another free and fairly basic choice the Odds Portal lists the 10 most profitable arbs around. It is similar to the BMBets service we just looked at. 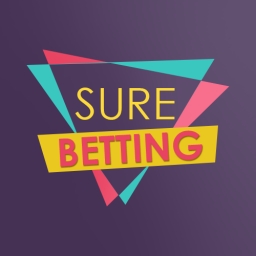 Just click on any of the listed bets to find out more details. Little Bit About the Service: This site covers sports such as basketball, hockey and football. The selection is, therefore, varied despite being limited in size. 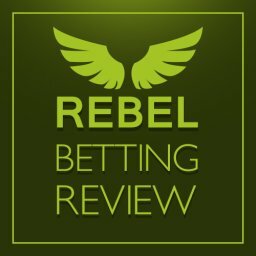 If you want to see more than 10 arbs at a time then the sites directs you to their partners at RebelBetting. To be fair, the small number of arbs means that you probably wouldn’t do much more than just get started on here. The best arbing software is? Horse Racing — Each Way Sniper. Newbies – Matched Betting Software. Full disclosure, I own both of those products. Obviously I’m going to say they are the best. They are excellent value and will teach you the ropes if you are learning arbitrage betting.